Our Toddler Program accepts children from 18 months to 2.3 years of age. The ages between 18 months and 2.3 years are key as children are like sponges; they absorb extensive knowledge from their surroundings in a fast and effortless way. 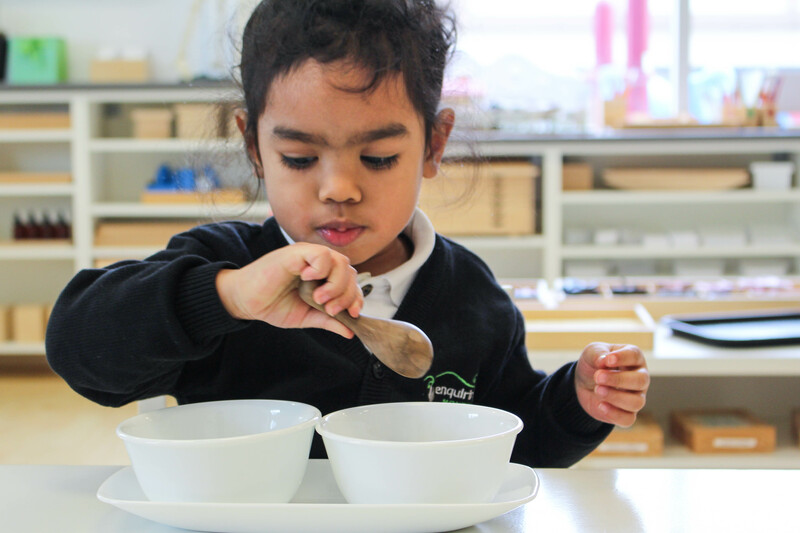 As Dr. Montessori stated, the greatest development is achieved during the first years of life, and therefore childreen need a rich and well-prepared environment in which to learn and grow. Our Toddler Full Day Program begins at 8:30 am and finishes at 4:30 pm, with student drop-off beginning at 8:30 am. Children enrolled in this program are exposed to extensive enrichment in both academics and the arts – Movement and Visual Arts. These art programs, like the core activities, are not considered recreational activities but rather intensives. Lunch and morning and afternoon snacks provided.